We talk about the lives of professional writers and content marketers a lot on these pages. And we’ve done our fair share of interviews with well-known writers and top-notch content marketers. But what about those writers whose names you may not know, but who have discovered the secrets to running profitable freelance writing businesses? We thought it was time to shine the light on these folks so you could learn from their journeys. And to find them, we didn’t have to go far: our Certified Content Marketer page is full of them. 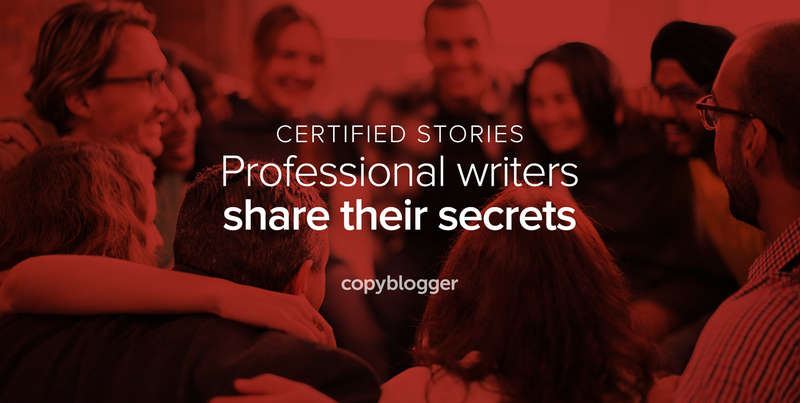 Welcome to our Certified Stories series, where we’ll share insights and tips from successful freelance writers. Read on as Terri, Mark, and Sharlyn spill their professional secrets. Who’s your favorite type of client to work with? We all have clients who are secretly our favorites. It’s probably in our best interests to hide the fact that we enjoy working with them so much, we’d almost do their work for free. The definition of a “perfect” client will be different for all of us. For our three featured Certified Content Marketers, their perfect clients reflect what they value most. What can clients do to get a writer’s best work? One way a client becomes a favorite is when you develop a working relationship that brings out the best in both of you. You enjoy your interactions and produce excellent work together. For Sharlyn, this type of relationship develops when clients make the effort to educate her about their businesses. A writer who’s familiar with a client’s goals and culture can do a better job expressing their messages. For Terri, it comes down to the simple art of communicating clearly — and managing expectations at the beginning of the business relationship. What writing habit has helped you the most? We’ve said it before and we’ll say it again (and again). If you want to write better, write more. The advice to write more sounds too simple to be useful, but the reason we hear it so often is that it really works. “I’ve made a habit of writing every day. Whether it be random thoughts or structured articles, writing is part of my daily schedule. At first, it was a chore and I struggled to put pen to paper (or fingers to keypad). I was unshackled once I had the attitude, ‘Stuff it; just write anything!’ This led to free-form writing about whatever came to mind. What trait makes a writer a pro? Writers need to understand and empathize with businesses of all stripes. Writers need to be able to synthesize a wide variety of clients’ needs and turn them into compelling words. Writers need to approach their work like professionals in order to have profitable businesses. Our careers unfold over time and eventually we look back and see the person we were at the beginning — and marvel at how we got to where we are. “Oh good grief. Where do I start? It would be brevity. How to get to the message and develop a story with as few words as possible. That’s when I first started out. Sharlyn mentions the role editors play in helping your content shine — a lesson we all have to learn in the early days. Finally, we thought you might enjoy hearing about our Certified Content Marketer training program direct from three people who have benefited from taking the course and becoming certified. “The Certification program pulled it all together for me. It was truly my ‘aha moment’ — I got it! Not wishing to be melodramatic, but all the components of content marketing aligned for me. The pinnacle of the Certification program was understanding the buyer’s journey. That was the golden nugget. Sharlyn learned an important skill and — surprisingly — learned something from the Certification application process itself. “Two things. I loved the conversation about writing headlines and the importance of writing the headline first. Sometimes it means staring at the screen with your hands on the keyboard for a few moments, but once you figure out the headline, the rest seems to fall into place. For you, we’d like to recommend our Certified Content Marketer training program. It’s usually closed, but we reopen it periodically for a short time to invite a new group of students inside. Want to be one of them? We’d love to see you there. Add your email address below and we’ll let you know when we’re enrolling a new group of writers. Pamela, This was helpful and led me a little closer to making a decision about what I want to do (write for income). Now, I think it’s just a matter of time and following the steps laid out. For the first time, today, I see professional writing as a possible and even probable reality for me. Thank you. That’s so great to hear, Kathryn! I’m glad these three writers provided some inspiration: it’s always cool to hear real-life stories from those who’ve gone before us. It’s probably a good thing I can comment by typing but not by audio, or else you’d hear too many shouts of “amen!” from this corner. I edit content rather than creating it, but the journey from part-time scraping by to a viable business is much the same. And the quest to grow this thing never ends, but I still say it’s worth it. I love reading the insights shared by the featured writers in this post. I’m always intrigued by how many different perspectives you can get with one simple question. And yes, it was super cool to be one of the featured writers in the post. 🙂 Thanks so much! Thanks again for answering all my questions and sharing a peek behind the curtain of your business, Terri. Thank you for sharing Terri! As a long-time freelance writer, I’m familiar with the struggles writers go through daily to keep creating new and fresh content. The certified content marketer training sounds interesting and I will definitely check it out. We’d love to see you there, Aimee! Thank you so much for this article. I love seeing sucess stories from different writers – this encourages me to not give up on freelancing. Thanks again! I enjoying reading about their perspectives and what would make a good working relationship even better. Thanks for sharing! i am also working as a freelance writer but it is just a start, i am planning to improve my writing skills so i can get payout. Thanks to Pamela for including me in this article. And thanks for all of the terrific comments. I’m still a little amazed when people want to know my writing habits. But then I realize how much I learned from Terri and Mark’s comments. Writing must be a little like golf – one of those activities you never fully perfect – always looking for a new or better way of doing it.
. Let’s go straight to the questions. What is my favourite type of client? I love to work for app developers. They are always very smart, funny and intelligent. The last team I worked for even helped me to design an app as a present for my fiancee. That was really nice. What writing habit has helped me the most? I practice automatic writing – it really helps me when I face a writer’s block. And the tips I will give to aspiring content marketers is to write. Write on any topic you see, take non-paid jobs, learn new things, read and read and read. Never stop improving! Thanks for this, Lily. I love that you developed an app as a present to your fiancee. So cool! Sorry to hear that, Randy. Sometimes messages get caught in spam filters: I hope you’ll give it another try. We do check in with our Certified Content Marketers to confirm they’re still taking clients and we move them to a “Limited Availability” section if they aren’t. Great article as always Pamela! Thank you for the info. Great info.. as a writer you would like to think you are finding the right clients. I recently had to fire one as the work was not coming equal to what I was being paid (in this case nothing).. I have since learned the hard fact of never writing for free unless it is for me. Look forward to following your great content. Compelling article Pamela, gives me plenty to think about. Thank you for sharing! Awesome article, Pamela. Thanks for sharing this; and to Lily too. How possible is it for anyone in Africa partake in the Certified Content Marketer course? You can certainly participate: the course is all online so as long as you have internet access, you can follow along with the lessons. If you haven’t done so yet, please add your name to the interest list at the end of the post and we’ll let you know when the course opens up.